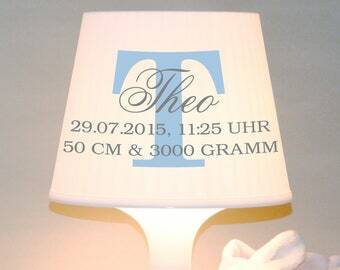 The name font has a size of 16 x 10 cm (width x height) and can vary depending on the length of the desired name. The color and the name are customizable. 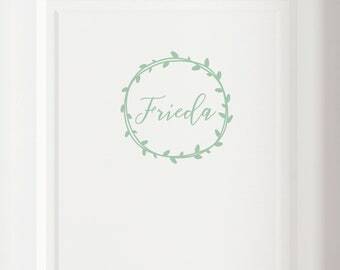 Please indicate your desired color and name when ordering. 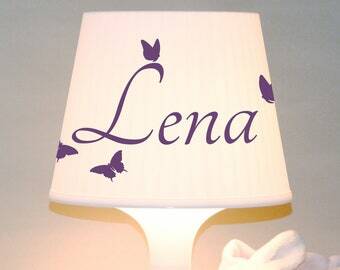 Please specify the colour for the name font and the colour for the heart when ordering. The vinyl film can be mounted on wallpapers, tiles, glass, wood, plastic, metal and even on car paint. 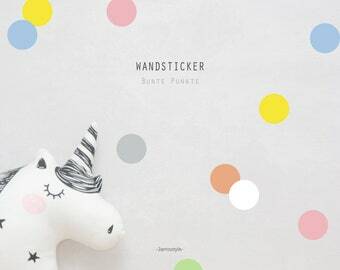 All stickers are made of special, Matt shiny vinyl foil and are waterproof. 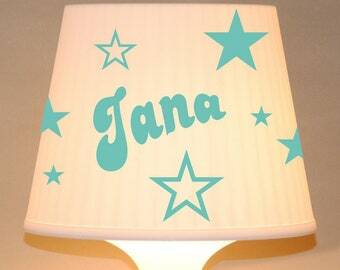 Children's lamp, table lamp "name with stars"
Wie immer alles schick :-) Nette Zugabe dabei, einfach top! Immer gerne wieder. Danke! Super schön und super schneller Versand. Ich bin begeistert. 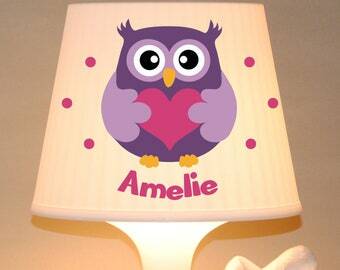 Children's lamp, table lamp "Owl with Heart"
Door sign "Bath with anchor"